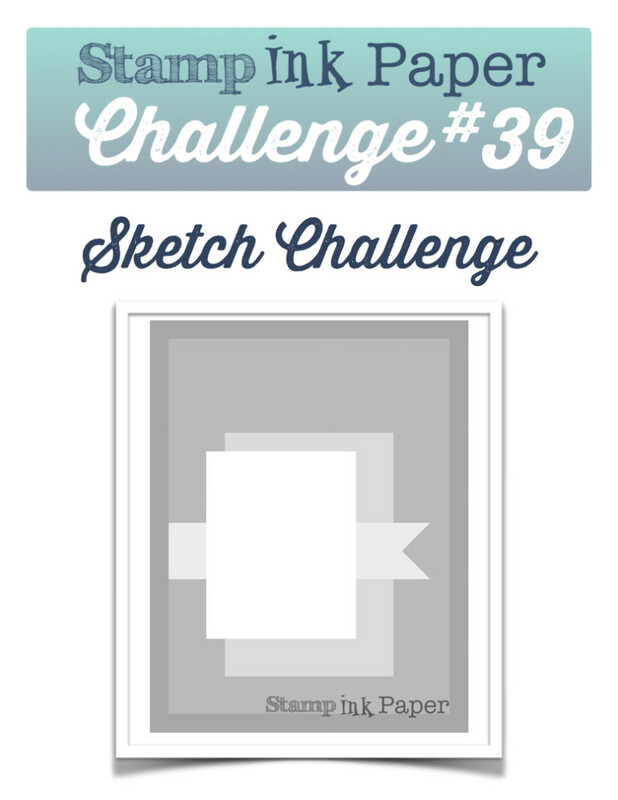 SIP Challenge 39 – A Sketch from Ginger! Home / 2015-2016 Annual Catalog / SIP Challenge 39 – A Sketch from Ginger! Hi there again! I hope that you had better weather than we did! It was a rainy dreary day here, not a bad for being crafty though! I had to run to UPS to drop off a return to Amazon, FaceTimed with Andrea for a bit when I got back and had some dinner before heading over to see Heather. We watched a little TV and had some wine. A pretty good way to spend a dreary Monday evening! Today I plan to clean a little and get a little more crafty! What’s on for you today? 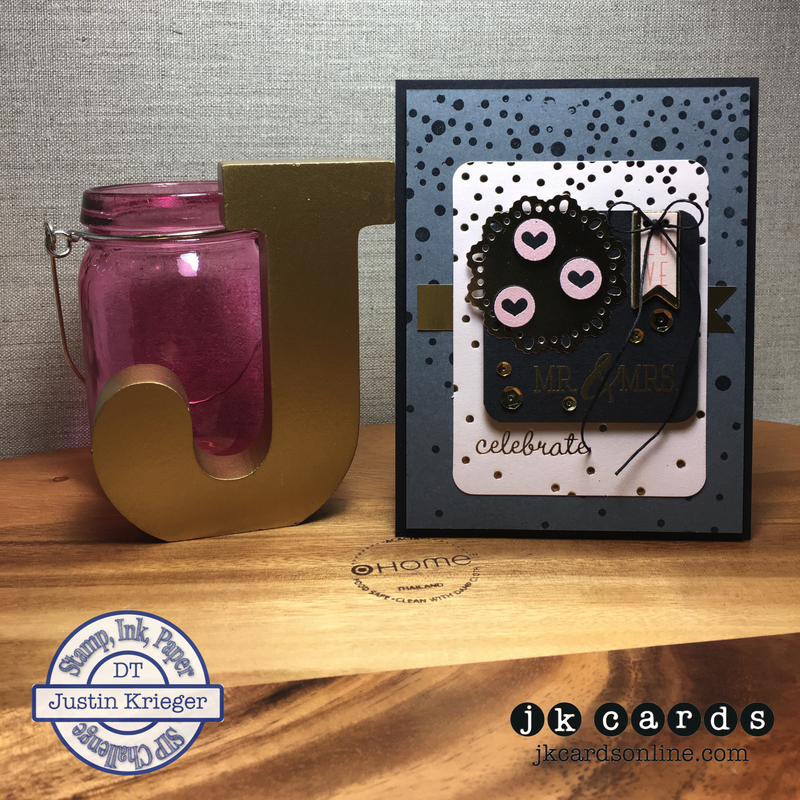 This entry was posted in 2015-2016 Annual Catalog, Blog, Cards, Crafts, Embellishments, Embossing, My Minds Eye, Photopolymer, Pretty Pink Posh, Simon Says Stamp, Stamps and tagged Card Making, Crafts, Simon Says Stamp, SIP Challenge, Stampin' Up!. Bookmark the permalink. Beautiful card today, Justin. 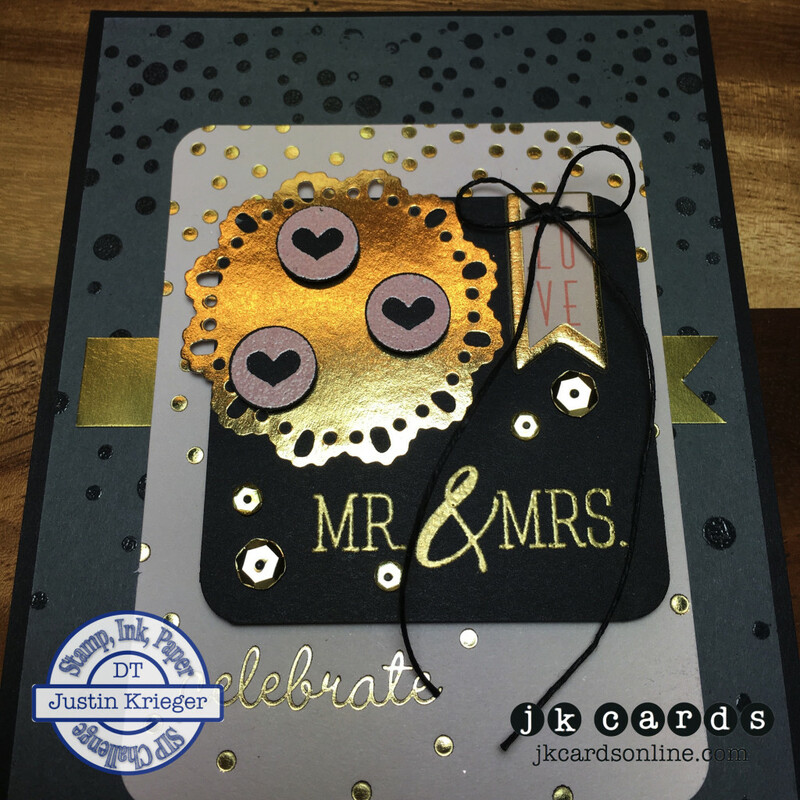 I love the blushing bride with the gold and black and all the elements you put into this card. We’re having another rainy day. I’m beginning to think I live in London or Seattle. lol Enjoy your day! Mine will be spent crafting. Yay! Hi Justin! You have got to move closer to me! Just got my internet back. It went out about 8 p.m. last evening and I spent almost 3 hours with the cable company without any good results. They sent a techie here today and he had it fixed in less than 5 minutes! If the techie on the phone had half a brain it could have been taken care of last night! GGGRRRRRR! Anyway. I found your take on the SIP challenge very interesting. First of all it is supposed to be good luck if it rains on your wedding day and secondly, I love that you used gold. Gold is the color of a 50th anniversary so the card is kind of wishing the newlyweds 50 years of good luck and happiness. Pretty cool. Hello Grace! Ok then! That would be fun! I think that you might get sick of me after a short while! LOL! I don’t think that I could go that long without internet! The people on the phone at the cable company rarely know what to do unfortunately! Usually just a unplug and reset fixes most issues! I do love that My Mind’s Eye Fancy That suite, I actually found another one of the 6×6 paper pads at Michaels today! It could definitely be an anniversary card! Beautiful card! Great wedding card – LOVE all the gold.